If you are living on a tight budget OR aren’t quite clear even where to start with jumping in the fitness “pool”, these fitness activities are free, fun and can guide you in the right direction to feel more calm, strong and the bomb in 2016! If your goals include muscling it up or toning it down, these indoor, outdoor and online options can fuel your fitness fire. 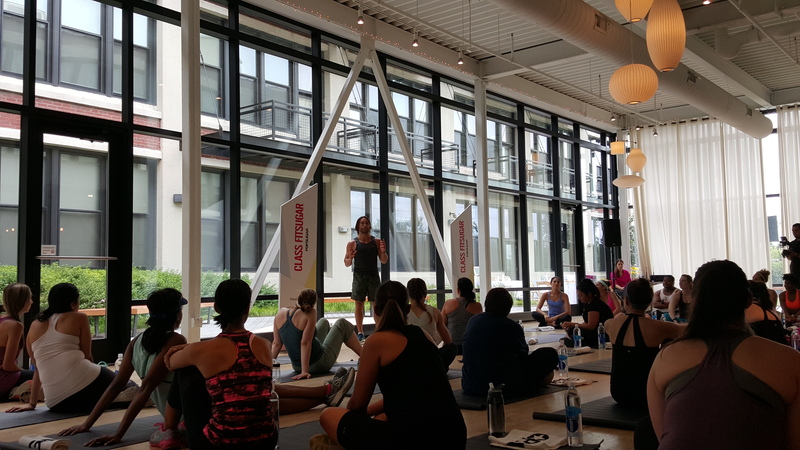 Train with top Chicago fitness professionals in classes ranging from barre to HIT in addition to speed, endurance and long distance run training. Nike Training Club Chicago supported super fabulous events last year like Train with Hart, a 5K run with Kevin Hart, and #getouthere, a temporary Chicago river front workout facility to withstand the Chicago chill. Need a little help sorting through your fitness goals? Sign up for an exclusive Resolutions Consultation with a Nike fitness pro and get athletic coaching advice for nada dollars. Join and sign up for workouts here. Cold air, they don’t care. North Face continues their free Mountain Athletics outdoor workouts Tuesday at Lincoln Park and Thursday at Millennium Park even in the winter. If you are looking for a challenge, this is for you! Each session, led by two The North Face trainers, prep you for outdoor goals. Sign up here. Looking for something local? Check out your nearby Chicago Park district building this week, January 2nd-10th, for free boxing, swimming, aerobic exercise and more. It takes at least 21 days to start a habit so Target wants to bolster your fit meter with a free 21 day Commit to Fit workout program. Adam Rosante, certified athletic trainer, and author of “The 30 Second Body: Eat Clean, Train Dirty & Live Hard” and Idalis Velazquez, founder of IV Fitness LLC and the creator of the PowerUP60 training method, power through with you by leading a series of Target Youtube videos for abs, cardio and strength. Join in a Dance Free for All January 5th-10th with the American Rhythm Center Chicago. Classes ranging from Tap, Break dancing, African Dance, Bollywood, Afro-Haitian and much more are all free! These short, high energy dance routines are lead and follow style but still could be club ready with practice. Jessica Bass starting a small group dance class in Knoxville, TN that expanded to hundreds of free Youtube videos in addition to a purchasable fitness program. Lace up your dancing shoes and prepare to werk. If you don’t have twinkle toe or muscle head genes, stayed tuned for Part 2 of our Free Workout posts: Yoga and Running!